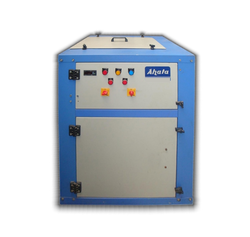 We are a leading Manufacturer of water chiller and chilling plant from New Delhi, India. 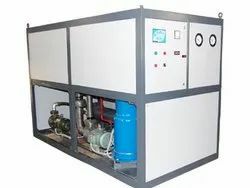 We are offering Water Chiller to our clients. Ahata industries is renowned manufactures and service provider of water cooled water chillers,Our designed water cooled chillers are made up premium material that make them highly durable and earn higher demand in refrigeration industries.we also provide customized designs for these units in accordance with specific requirements of clients.These chillers are easier to operate and require minimum maintenance that makes them widely preferred among customers. Looking for Chiller Coolers ?